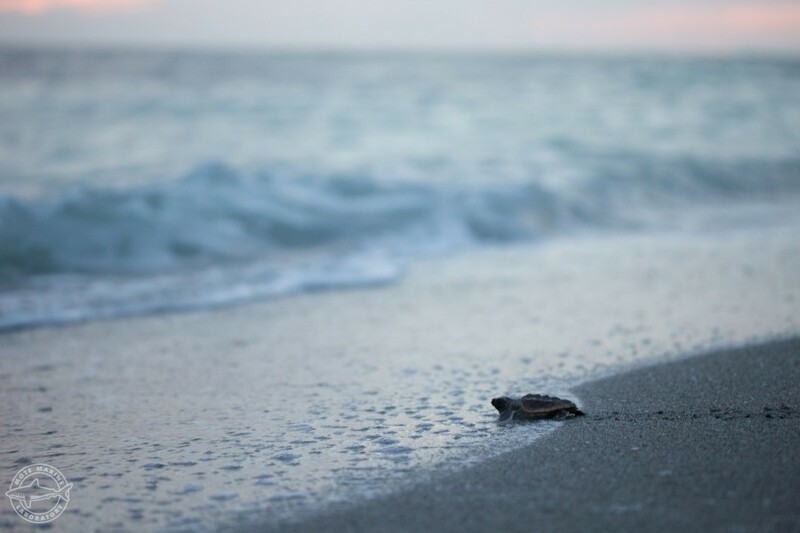 Hatchling on Turtle Beach. Photo: Conor Goulding / Mote. All activities conducted under FWC Marine Turtle Permit guidelines. Mote’s Sea Turtle Conservation & Research Program contributes its data to a statewide cooperative effort to monitor sea turtle nesting, coordinated by the Florida Fish & Wildlife Conservation Commission (FWC). *A false crawl occurs when a sea turtle emerges to nest but returns to sea without leaving a nest. On July 19, Mote scientists fitted a nesting green sea turtle nicknamed “Gigi" with a satellite tag on Casey Key. Green sea turtles have been nesting along southwest Florida beaches in increasing numbers in recent years, presenting an opportunity to tag nesting females and grow the small data set on this species in the Gulf of Mexico.